Join us tonight at 7 p.m. to celebrate the launch of local author Dean Garlick's new book, Chloes. 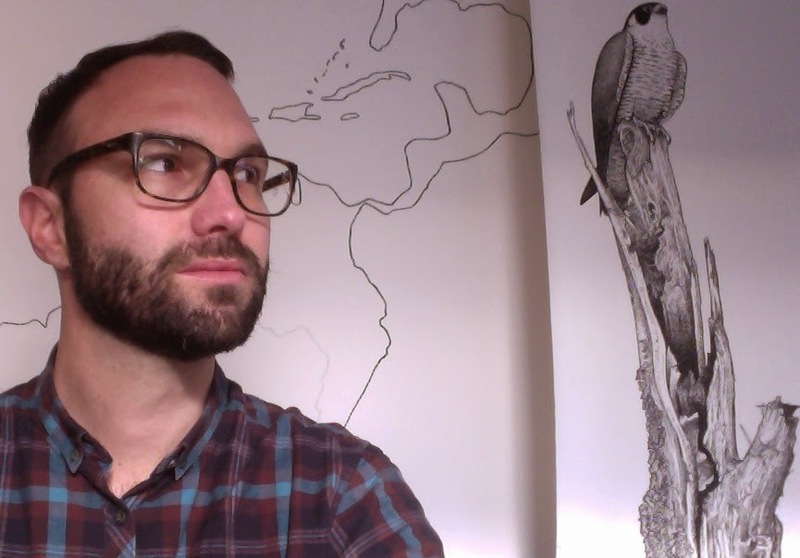 The evening will be hosted by Melissa Bull and will include readings by Mike Spry and Dean Garlick, projections of Nicole Legault's illustrations, and music by Athena Holmes and Kent Kataoka! There will also be refreshments! A parakeet appears on a branch outside Chloe Fortin’s window one spring morning in Montreal. Its arrival can't begin to foretell the unlikely events that follow. Chloes explores our tendency towards multiple selves. Experiencing unbounded bliss one moment, only to later find it out of reach. Or burrowing into our grief, wishing we could send another version of ourselves out into the world. When we open our lives to a stranger, sometimes our wildest fantasies are only a universe away. 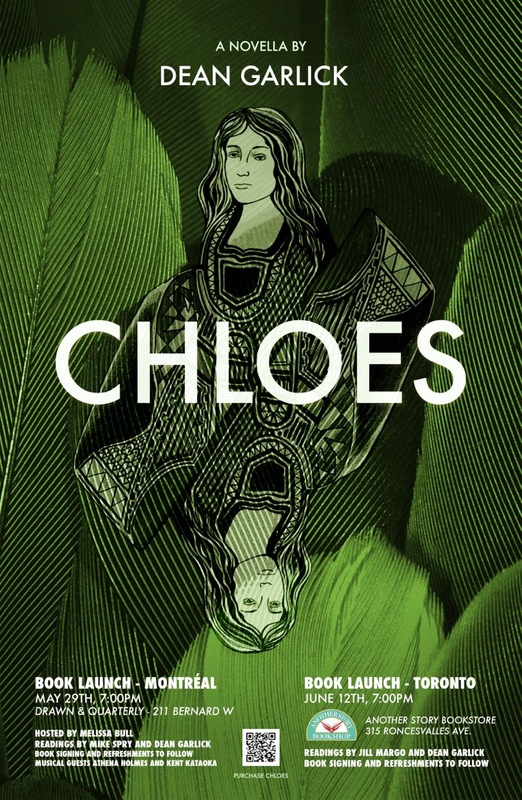 Chloes is a novella with illustrations by Montreal artist Nicole Legault. Dean Garlick is a fiction writer and fabulist living in Montreal. His first novel, The Fish, was published in 2010 on Anteism Press.